BBC Jimmy Savile like Cover-up, Endangering Thousands of Lives in UK City of Culture. Since news of a bomb explosion in Derry city in the early hours of Tuesday morning of the 5/10/10 began to circulate, only Twitter of all the news organisations worldwide, shortly after midnight hours, appear to be breaking a British cover up, of scores of bombs, in the what is now called the UK City of Culture in British Occupied Ireland. The car bomb exploded outside a shopping centre, causing huge damage, fortunately there were no injuries, despite the cover up of bombs exploding for years since. Immediately after the explosion, just after midnight, the first tweets were sent by a Derry resident, stating: "Who all heard that?" Residents anger then streamed through Twitter, after they realized the cover-up with their lives put in danger.An angry user in Derry tweeted:F**king explosion in Derry, close enough to feel shock wave under the house. Another f**kin bomb, dissident c**ts!….Worried users are now concerned that there is a concerted cover-up, endangering their lives, in order to protect the UK City of Culture image, with the British ordering news agencies pretending everything is normal. Residents are worried that innocent people, may loose their lives because of the British cover-up of numerous bombings in the City on a regular basis. One tweeter has stated publicly; Hope to christ no-one is killed in Derry, or injured. Another has said: No mainstream news reports yet about the scores of bombs exploding in Derry. Another tweeter has stated; Hmm... I think @utv @bbcnews @rtenews should try find someone honest on their social media team, that’s not lost their marbles, with such things like this. Another then went to the bomb site, and posted a Twitpic:I got close to the bomb site, the road wasn't even cordoned off, its a cover-up, someone is going to get blown up, with this ongoing cover-up of bomb explosions for the UK City of Culture Year. RTE reported only one car bomb with warning received. They didn't even bother to cordon off the area before all these bombs explode.While yet another tweeted: Local journalists all here now, but still not officially allowed to report. Censored on utv or bbcni. Twitter the only ones up to date with news. Another pointed out moments: McDonald was told these would happen in the UK City of culture. Twitter users voiced angry disapproval about the lack of official coverage, from mainstream media, with one tweeting: Oh FINALLY the news channels pick it up. 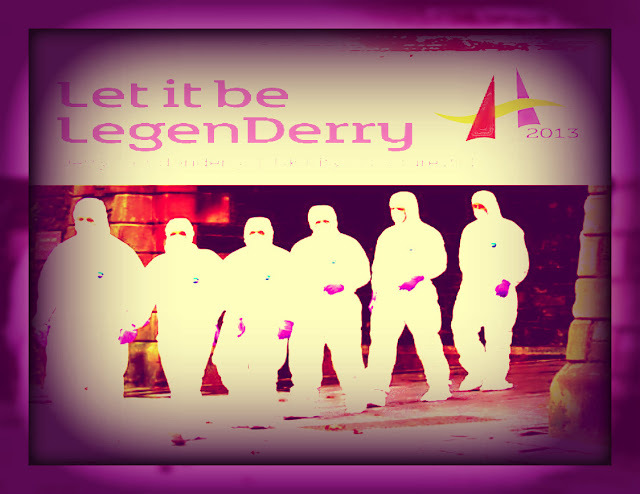 Too Slow, people are going to get blown up in Derry this year, because of the cover-ups, pretending everything is normal. Another has tweeted: Surely the bbc etc should start watching twitter a bit better. or have a tweet thing for things like bombs in the UK City of Culture. Its just like their Jimmy Savile cover-up! The BBC publish only occasional reports on Derry City bomb blasts and when they do, they call it Londonderry and nobody knows where or what they are talking about. There is no Londonderry, just Derry City, in British Occupied Ireland, so how the hell could it be a UK city of Culture? Twitter users have to continue to piece together the real story themselves on all these bombs. Some post on Twitpic, the site of the blasts using Google Street View. Meanwhile, Twitter users are convinced the BBC are prepared to let people get killed for propaganda purposes this year in Derry, instead of instant reporting, of verified facts, which is the norm in the rest of the world but prevented by the British Government in Occupied Ireland. Tweeters have told the BBC Dis-service(as it is now known post Savile), to take these bomb warnings seriously, instead of persisting with their Jimmy Savile type cover-ups, that have destroyed thousands of peoples lives and are endangering the lives of the ordinary people of Derry.